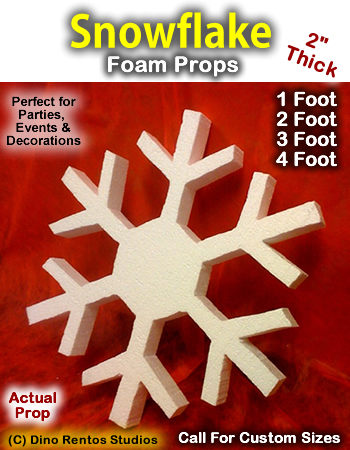 Snowflake 2 Inch Thick Foam Prop - Dino Rentos Studios, INC.
Add these 2" thick foam snowflakes to your holiday display! Perfect for decorating any winter themed display, party or event. Have them painted white or add sparkles!